The 17th annual Breaker Classic Charity Golf Tournament took place on July 14, 2017 at the Speargrass Golf Course in Alberta. 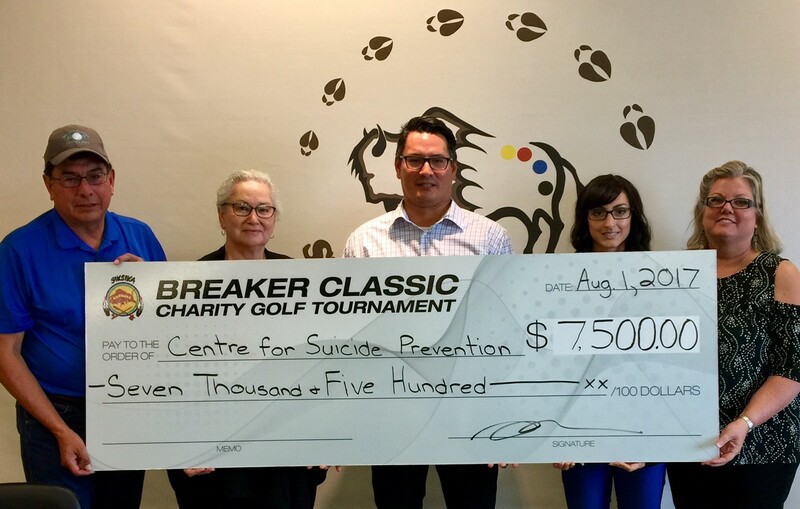 Centre for Suicide Prevention and Siksika Health Service’s Suicide Prevention Program were chosen as recipients of the fundraiser this year. We’re so grateful to have received $7,500 from this tournament! This money will go toward fulfilling our mandate of suicide prevention awareness and education. Thank you to Bob, Audrey and Shane Breaker, the organizers of this event, for your hard work and dedication to suicide prevention. Your generous donation truly makes a difference in supporting the work we do.